The City Council and the public will weigh in Tuesday on a plan to redirect about $5 million a year in property taxes to help build a streetcar line along Nicollet and Central Aves. The plan was made possible this May by the Legislature, which authorized the city to create a "value capture district" comprised of several sites where major residential development is already underway (at right). Depending on how the plan is configured, some amount of taxes from those properties would go to streetcars -- rather than the general fund. Peter Wagenius, Mayor R.T. Rybak's policy aide, said the total cost of the streetcar line is expected to be between $200 and $220 million. The value capture plan could generate about $60 million, he said. The city will pursue federal funds to help make up the gap. 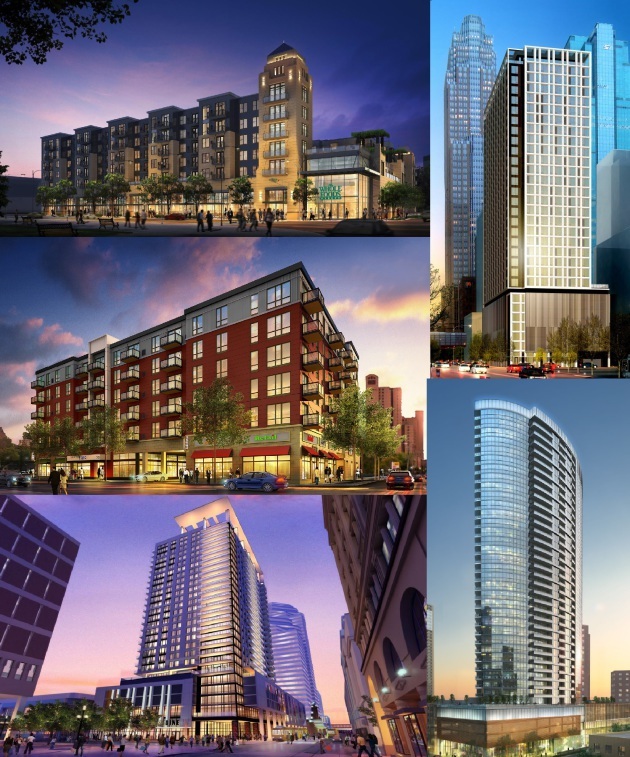 The properties whose taxes could pay for the streetcars are among the most high-profile residential development projects moving forward in the city right now. They include the 36-story Magellan Tower, 26-story Nic on Fifth, 30-story 4Marq, 222 Hennepin and a project called Red20 in Northeast. Altogether, the properties will account for more than 1,200 new housing units in the city. Tuesday's meeting includes a public hearing and a vote to create the value capture district, which sets the plan in motion. A staff report said the district should generate about $5 million a year in taxes by 2018, if all of the developments go as planned. "A mix of other revenue sources would also need to be identified in the future to fund the overall project," the staff report said.